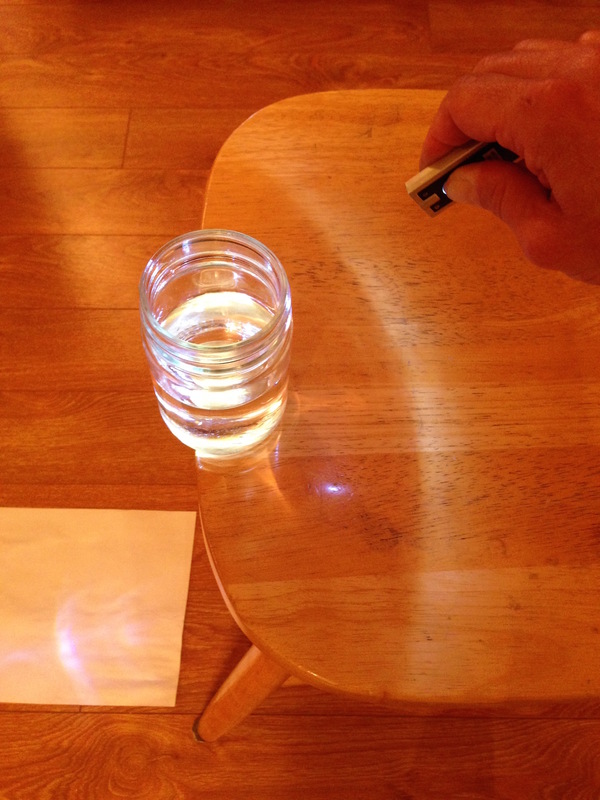 Shine a flashlight through water at just the right angle to make a (subtle) rainbow. 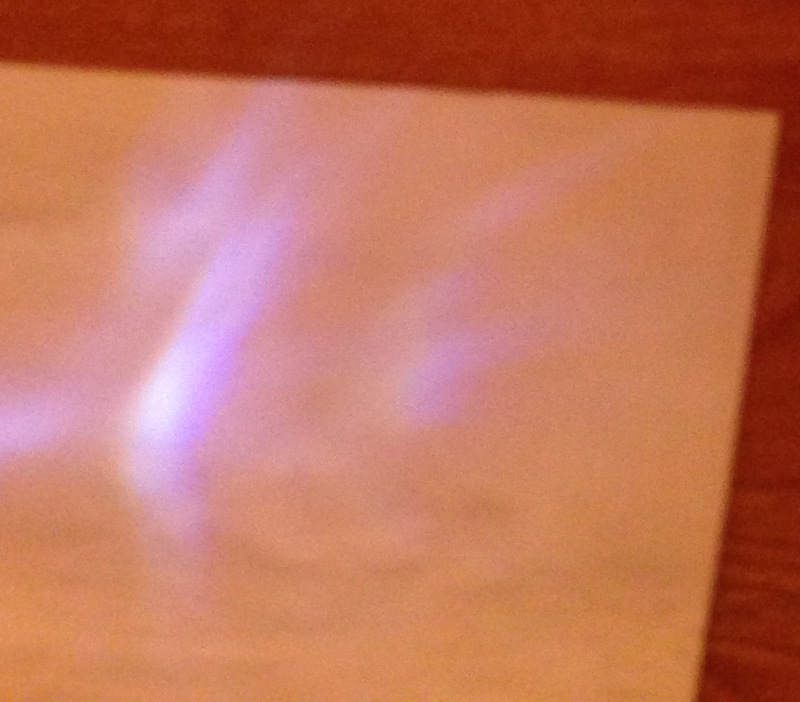 Distribute glass of water, flashlight and white paper to each student or student pair. Ask them: We have water and sunlight. What weather feature might we make? Hold the jar in the air just above the desk. Lay the paper down in front of the jar. Shine the flashlight at the water line from back a bit, maybe angling it downwards a little. Don't block the bottom edge of the jar with your fingers. The higher the jar, the wider the rainbow. If you tip the jar slightly, you can make multiple rainbows.